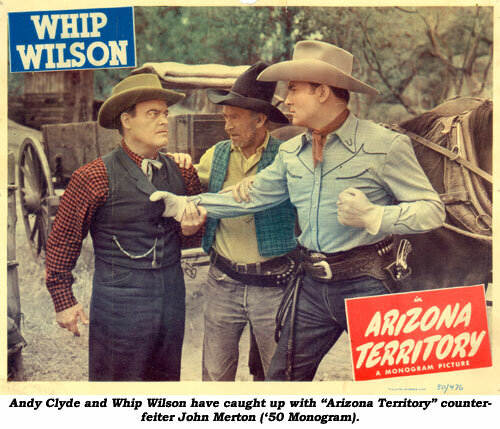 Big boss or henchman, the square-jawed, glint-eyed, huskily-built John Merton was one of B-westerns’ baddest renegades in over 200 pictures and 22 serials from 1933-1956. In Seattle, Washington, on February 18, 1901, Myrtland F. LaVarre was born to William J. LaVarre and Lelia Hayes, both from Virginia. Why his birth was here seems lost to the ages, as he was raised on the east coast with three brothers—Claude LaVarre who later lived in Santiago, Cuba, and was somehow involved with Singer Sewing Machines; William LaVarre, a traveler and explorer in South America and author of several books; and Franklin LaVarre (known as Andre de LaVarre of Austria), a travelogue photographer with the noted Burton Holmes who took over as headliner when Holmes died. Becoming an actor displeased the family, causing Myrtland to be blackballed from the family. According to Merton’s grand niece, Heather Robbins, Merton also had a sister, Lucillie who was born in Seattle in 1902 because the family was living there while Merton’s father worked building naval ships (dreadnaughts) there. Myrtland served in the Navy during WWI and made 13 trips across the Atlantic to France. After the war, he went to New York to try his hand at acting. In 1919 he began with the New York Theatre Guild. He soon acted on Broadway and up and down the eastern seaboard with various stock companies. 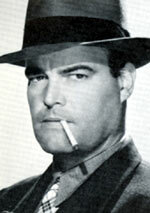 Circa 1926-‘27 he worked at Paramount’s Astoria Pictures on Long Island in a couple of W. C. Fields films. Those films drew on stage players who could work in a movie during the day and still make the curtain for a play’s performance in the evening. In 1932, with 12 years of stage experience, LaVarre, his wife (Ellen) and four children came west in his Ford delivery van to become a “movie star”. He settled first in Glendale, then on Romaine Avenue in Hollywood, finally on Lankershim in what is today North Hollywood. 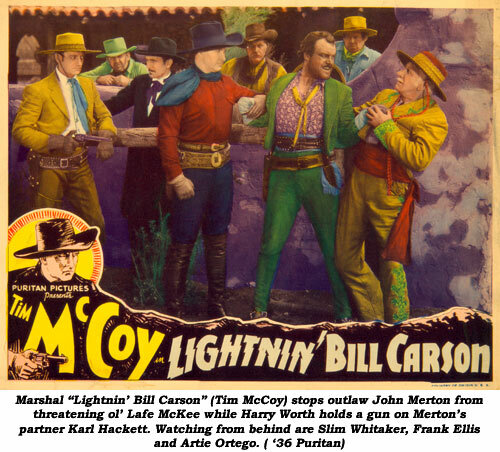 He found work in “Captured” (‘33 Warner Bros.) as a prisoner of war, then in Laurel and Hardy’s “Sons of the Desert” (‘33), then (billed as Mert LaVarre) in Buck Jones’ “Red Rider” Universal serial in ‘34. At this time, he was chosen by Cecil B. DeMille, who liked his husky look, for a bit in “Cleopatra”. 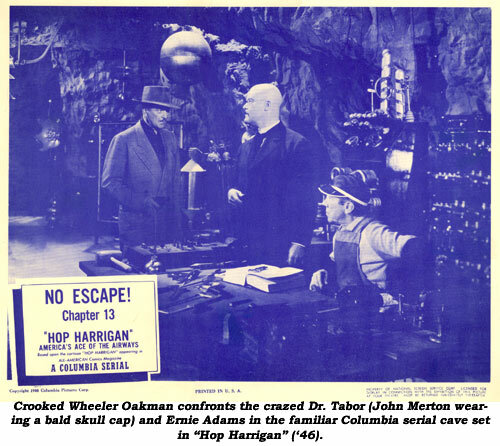 DeMille used Merton in every one of his films right on through “The Ten Commandments” in 1956, Merton’s last film (which, incidentally, also features his son, Bob LaVarre as a task master). It was DeMille who suggested to LaVarre that Myrtland LaVarre was a “New York actor name” and that he change it. LaVarre selected John Merton, of which De Mille approved. 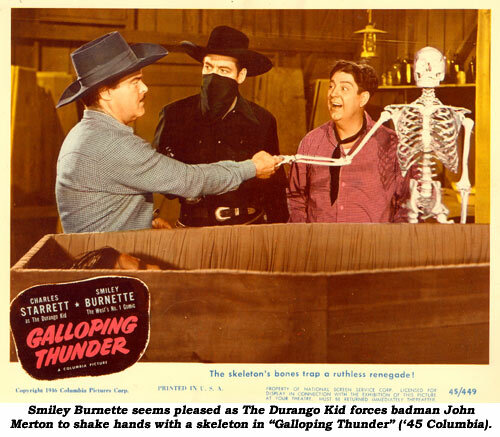 Opposite Hopalong Cassidy, Tim McCoy, Kermit Maynard, Fred Scott and others over the next few years, one of the vilest cads of the B-western screen emerged. His ramrod-straight bearing and determined, grim expression were perfect, barking out orders to his underlings. In addition to film after film, as many as 18 a year, Merton was a member of the Henry Wilcoxen Group Players of Santa Monica, a theatre group. 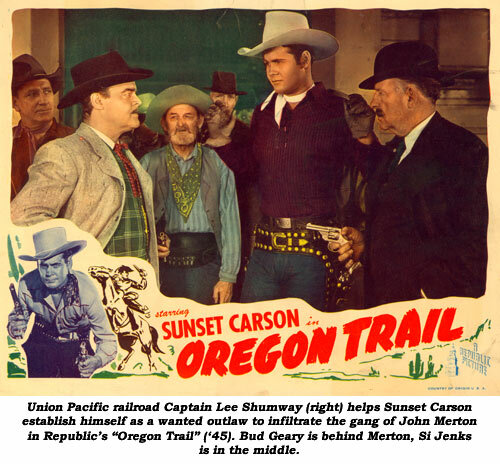 In the mid-‘50s as it became increasingly difficult to find employment in films, Merton drove a truck for Wholesale Supply Company delivering raw materials to the big studio labs. This led to a job in negative cutting as an IATSE technician at MGM circa mid ‘56 til his death. One of the best of the badmen, John Merton died of a heart attack September 18, 1959, at his home at 7629 Coldwater Canyon in Los Angeles. He’s buried at Valhalla Memorial Park in North Hollywood.